Leaders are facing increased pressure from their business to accelerate the pace in meeting a competitive landscape of customer demands. They have a large backlog of enterprise initiatives (high demand) with little understanding of their capacity to deliver against it. Many enterprises have adopted and scaled Agile methods within their Technology areas, however, the ones seeing success in becoming more customer focused and aligning demand with capacity, have taken the Agile and Lean mindset to their entire Enterprise. The challenge in scaling agile at the Enterprise level is many leaders fail to have an overall strategy for this transformation that combines the necessary Process, Culture, Org Structure and Technical processes that need to change. 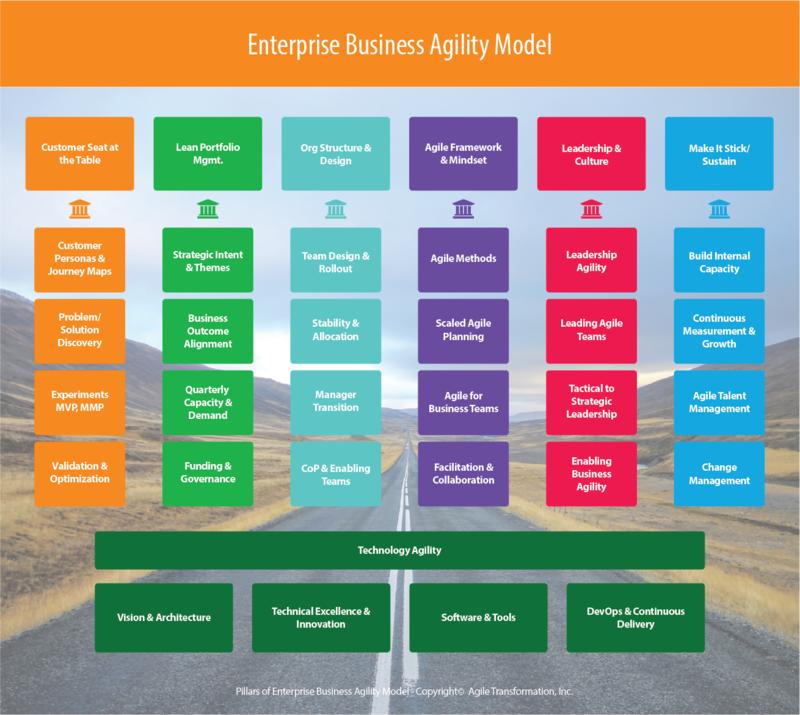 Agile is just one portion of the overall stack for truly achieving business agility and organizational health. Through this 2 hour seminar, we’ll dig deep into the six critical pillars of an Enterprise Business Agility transformation and help executives understand the elements needed for designing successful business agility transformations where Agile/Lean goes beyond IT.